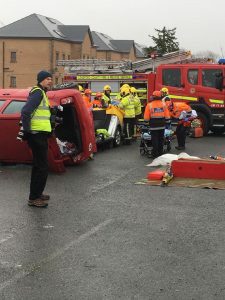 Longford Civil Defence Volunteers assisted the Fire service in the extrication and First Aid Treatment of a casualty at The AXA Road Safety Show, run in conjunction with Longford County Council on 5TH December in the Backstage Theatre. 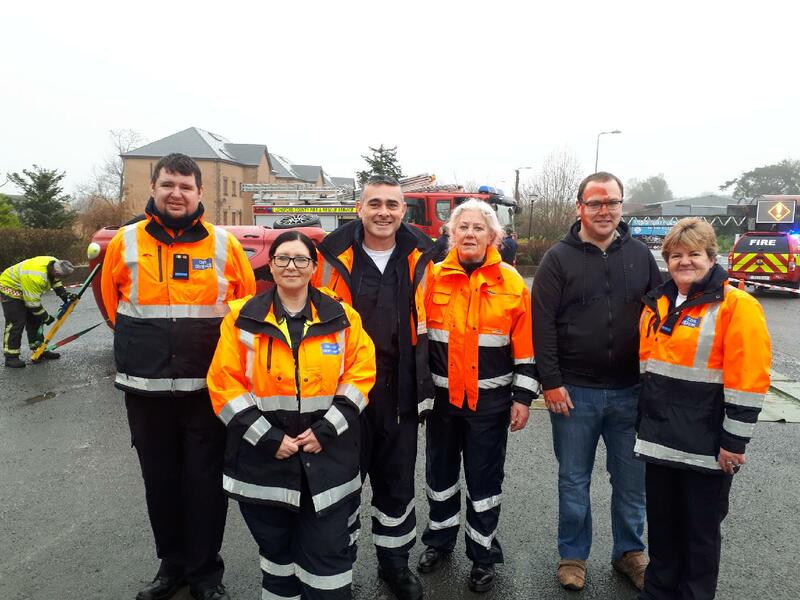 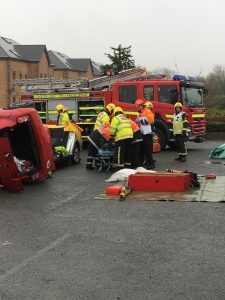 The staged car accident was held for TY Students, who then attended a Road Safety show featuring members of the Emergency services. 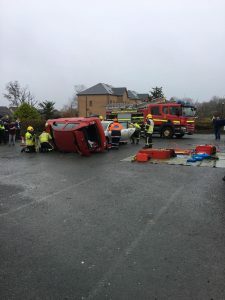 The objective of the show is to encourage young drivers, and those about to commence their driving career, to adopt a more responsible attitude in terms of their own driving behaviour.